Just a polar curve grapher. 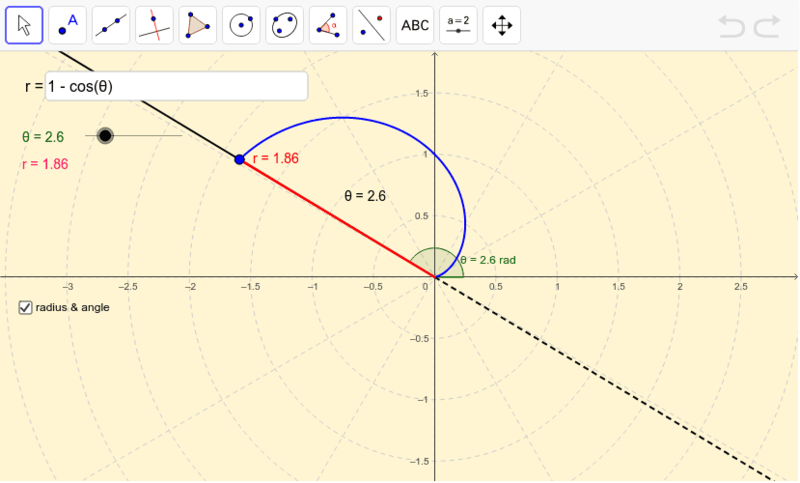 Type in your polar equation and investigate the graph. Drag the slide in the top left corner to change the value of theta.